Alcohol fuelled end-of-year Christmas parties are often the catalyst for bad behaviour, disciplinary action and sometimes dismissal. However, as in this case reviewed by AMMA’s Hobart-based principal consultant Bill FitzGerald, even blatantly harassing conduct can lead to reinstatement if an employer makes errors in the dismissal process. 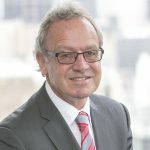 IN a significant decision that highlights the need for bulletproof procedures and professionalism when it comes to disciplinary action and dismissals, VP Hatcher of the Fair Work Commission (FWC) recently determined that an employee who was excessively drunk at a company Christmas function and harassed female colleagues was unfairly dismissed. In making his decision in Keenan v Leighton Boral Amey NSW Pty Ltd, VP Hatcher made the interesting admission that his powers were limited to reinstatement to the sacked employee’s former position and not to an alternative decision. Therefore, the Vice President delayed making a final order until a further hearing to assess the impact of a reinstatement order on the workplace and other employees involved. Nonetheless, the fact that a senior employee – a team leader – could be deemed to have been unfairly dismissed following highly inappropriate behaviour raises serious questions about what went wrong in the employer’s processes. The employee in this instance was found to have engaged in a number of bullying and harassing incidents at a Christmas function attributed to excessive alcohol consumption. Many of the reported incidents involved sexually suggestive comments both during the function, and after the function, made towards female colleagues. “In your role as a Team Leader you have a responsibility for the health and safety of yourself and those that work with you, and therefore the Company must hold you to the highest standards of behaviour and compliance,” the letter said. The employee was immediately terminated and paid four weeks’ pay in lieu of notice, as per his contract of employment. In making his decision, VP Hatcher considered in great detail all of the alleged misconduct and harassing behaviours that can be reviewed in the decision transcript. In summary, VP Hatcher surprisingly found that the incidents that occurred immediately following the formal company Christmas function should be considered ‘of a private nature’ and did not constitute a valid reason for termination. He found the one valid bullying complaint that justified dismissal was not put to the team leader to offer him an opportunity to respond. Further, he found the investigation was flawed and that the valid complaint was not included in the dismissal letter. In addition, VP Hatcher was critical of the long delay from the time of the alleged incidents to the ultimate dismissal notification. “Having regard to all of the matters discussed above, I consider that Mr. Keenan’s dismissal was harsh and unjust notwithstanding that there was a valid reason for his dismissal, namely that he addressed remarks to (complainant) at the Christmas function that were of an aggressive, intimidatory and bullying nature,” VP Hatcher concluded. For employers, there are a number of important lessons from this case relating to how you conduct investigations and implement disciplinary or dismissal procedures. Firstly, employers should act expeditiously in initiating a full and competent investigation. The findings of the investigation must then be properly considered before putting the allegations to the employee in a timely manner to allow a response. Employers should also properly consider all the circumstances including whether there is actually a valid reason for termination as well as the employees’ background and any other mitigating circumstances that may warrant dismissal unfair. Another key lesson is that employers’ which sponsor work-related functions, especially when alcohol is involved, should impose, communicate and enforce strict guidelines around acceptable behaviour and alcohol consumption. This case is a classic example of workplace dismissal action that appears at first instance defensible on its merits, but was ultimately unwound by a number of shortcomings. Overall, such cases are often more complex than they might first appear and advice should always be sought prior to acting, to ensure you don’t end up on the end of an unfavourable ruling like this one. Representation of your business in the Fair Work Commission or the courts if an unfair dismissal claim is made against you. Contact your local AMMA office for more information.